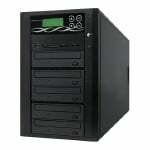 The IT series professional SATA Hard Disk Drive duplicator is specially designed for high-volume duplication. 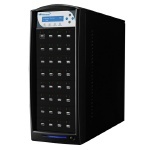 Adopted with a U-Reach's unique multi-tasking technology, the IT series Hard Drive duplicator can simultaneously copy 7 HDD targets and with high transfer speed up to 18GB per minutes based on real test. We guarantee highest productivity without speed degradation even when the number of targets increases. 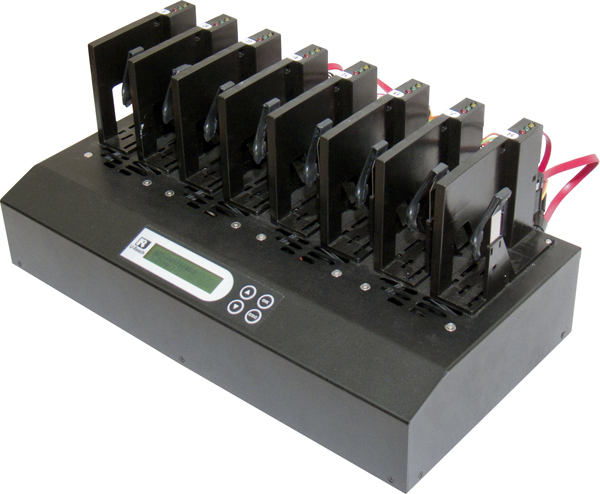 The IT series SATA Hard Drive duplicator provides four copy modes: quick smart copy, all partitions copy, percentage copy and whole HDD copy, can meet different duplication task requirements. The quick copy mode copies data and skips blank area. NTFS, Linux (Ext2/Ext3/Ext4), FAT/FAT32, Mac (HFS, HFSX, HFS+) format all can be supported with quick copy mode. It will highly increase the copy efficiency. In addition, the IT series SATA Hard Drive duplicator is equipped with different levels of Secure erase function, Quick Erase, Full Erase, DoD 5220 Erase government standards and last but not least is Secure Erase which can fulfill different levels of security for Hard drive wiping. High performance up to 18GB/min. (Real performance depends on HDD's speed) transfer speed per minutes. FAT16/32/64, NTFS, Linux(Ext2/Ext3/Ext4), Mac(HFS, HFS+, HFSX.) supports systems & files copy. Data Sanitization : Quick Erase, DoD erase, and Secure Erase. Open-Platform design supports Multi-Interface HDD/SSD. Log Report Management records all tasks details for better production management. Cable-free connection for easier HDD insert & remove.